DSDMX5050RGB-60PX10-24V and DSDMX5050RGBW-60PX10-24V 24VDC RGB 3-in-1 or RGBW 4-in-1 5050SMD LED DMX512 Signal Input Directly Individually Addressable DMX Digital Strip Lights 60LEDs/Meter and 10 Pixels/Meter IP20 Nonwaterproof. Addressable 5050 RGB LED Strip CL-DSDMX5050RGB-60PX10-24V-P1 is a 24VDC working voltage 10mm or 12mm wide flexible black or white strip which adopts 60pcs 5050 SMD RGB or RGBW LED and 10pcs DMX IC per meter and consumes only max 18W per meter. For custom lengths available from 500~5000mm, max run length of 5meters. It is designed rated IP20 for indoor locations use only. 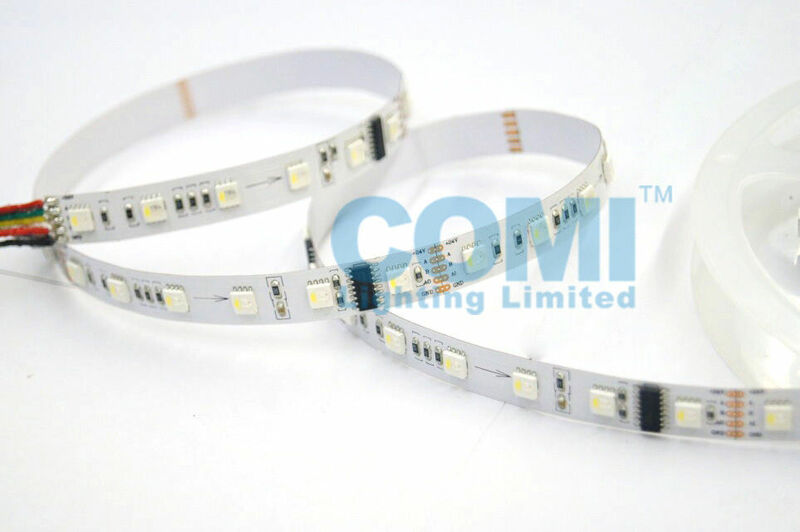 The Addressable 5050 RGB LED Strip light offers a easy installation by silicone mounting clip(order separately) (3M adhesive on the back of the strip can be provided if require) and 3 or 4-pin JST SM connector. 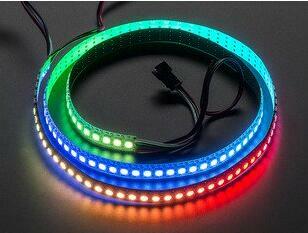 Addressable 5050 RGB LED Strip CL-DSDMX5050RGB-60PX10-24V-P1 features not only RGB or RGBW Color for options, but also using DMX IC which enables input DMX512 signal directly and each pixel can be controlled or addressable individually, which offers colorful static or dynamic changing effects especially chasing, water streaming, colorful jump. It is Not only a perfect linear lighting solution to decorate your environments, but also an ideal pixel lighting solution for your screen decoration or screen advertisements to display word, letter, picture, or animation and others dynamic lighting changing effect. 1. 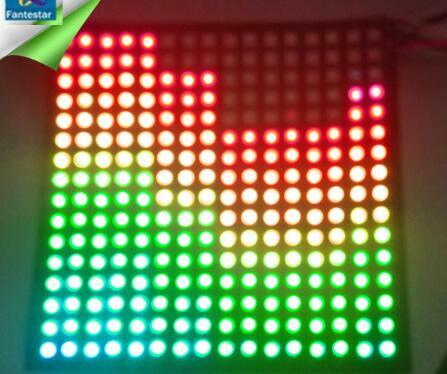 The strip utilizes DMX512 IC enables the LED strip can be working DMX512 Signal input directly and don't need additional DMX decoder to convert the DMX signal into SPI signal. 2. 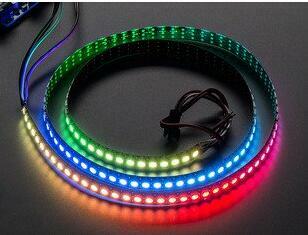 Light source: 5050 RGB 3-in-1 LED or RGBW 4-in-1 LED.